Parkinson’s disease is caused by the death of certain neurones in the brainstem. These cells are responsible for the production dopamine, a neurotransmitter which plays an important role in regulating the activity of deep brain areas: the thalamus and the basal ganglia. In the basal ganglia the impulses of the brain that are important for the control of movements, such as walking and other “automatic” actions, are processed. The death of the dopamine-producing cells causes a shortage of dopamine which thus prevents these movements from being regulated properly. The patient will show tremors, lack of movement or bradykinesia (shuffling feet, facial expression of absence, difficulty to turn around when walking, problems in development) and stiffness. There is no cure for Parkinson’s disease, and symptoms usually worsen with time. Lesioning procedures, in which the parts of the brain that are involved in the symptoms associated with Parkinson’s disease are damaged. This is done using a thin electrode through a small hole in the skull at carefully-calculated coordinates (globus pallidus or thalamus). First, electrostimulation is used to confirm that the electrode is exactly where it should be, and then the target area is coagulated using RF (pallidotomy of thalamotomy depending on the target area). 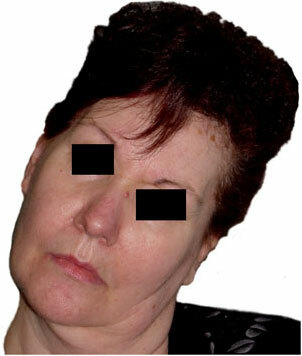 These procedures are recommended when showing stiffness and akinesia (pallidotomy) or tremor, (thalamotomy). Stimulation, which involves placing an electrode on the same points which can be injured. The effect in this case, however, is reversible and adjustable by increasing or decreasing the intensity of the electrical stimulation. This is currently the preferred type of procedure owing to its reversibility and to the fact that it can be carried out on both sides, which does not happen for lesioning procedures. The most frequent and successful point of stimulation is the subthalamic nucleus. Tissue transplant, where the goal is to transplant to the patient’s brain dopamine-producing cells from human brain tissue, obtained from abortions or tissue from the adrenal capsule (from a donor or from the patient himself). The results have been modest, owing to rejection and partial death of the transferred tissue, amongst other things, in addition to the technical problems of obtaining dopamine-producing cells. These techniques can also be applied in other diseases associated with abnormal movements, such as torsion dystonia.